As much as you admire the Florida marshes, the last thing you want is for your front lawn to become one. 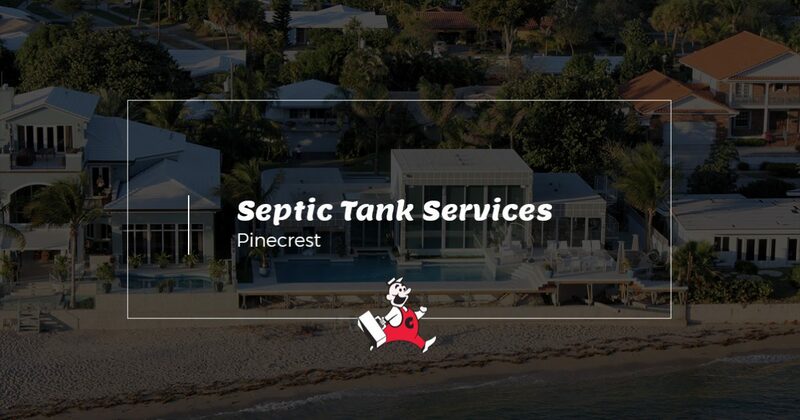 Problems with your septic system are no joke, and at Coker Septic, we proudly provide a variety of septic tank services to the residents of Pinecrest. To schedule an appointment for routine maintenance or an inspection, contact Coker Septic today! Proudly Serving Business Owners in Pinecrest! It takes a lot of time and energy to run your business. From managing employees to overseeing daily tasks, it’s easy to forget about your septic system when it is out of sight. However, that can all change in a moment if you fail to schedule regular inspections and maintenance. If you run a restaurant, there’s a good chance that you have grease traps in your kitchen. When these become clogged or full, it can cause a hold-up or even require you to shut down for a day to fix the problem. Additionally, a large storm can quickly cause your parking lot drains to become clogged with dirt and debris, making it difficult for customers to come to your business. Thankfully, business owners in Pinecrest can rest assured knowing that the experts at Coker Septic have the solution. We offer grease trap cleaning and pump-outs and parking lot drain cleaning, making it easy for you to ensure that your business will function according to plan. Though your septic tank can be small in size, it has the ability to create a large problem should it break unexpectedly. In addition to wreaking havoc on your lawn, it can also cause flooding in your home. That being said, these problems can easily be avoided with routine inspections and maintenance by the experts at Coker Septic. We offer septic tank cleaning and pump-outs, as well as drainfield maintenance. Don’t wait until there’s a problem — contact Coker Septic in Pinecrest today!